One of the nation's leading expert on the art of transformation, CAROLYN ANDERSON is the Founder and Executive Vice President of Integrity Consulting and Coaching Enterprise (ICE), a corporate coaching, speaking and consulting firm with over 30 years of combined experience in leadership, strategic plans, money mapping and visioning. 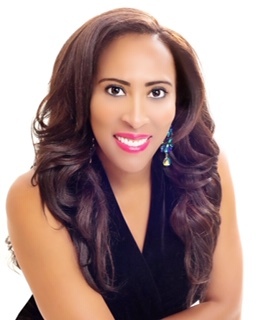 She’s a #1 International Best Selling Author, Keynote Speaker, Wealth Coach, TV Personality as seen on Fox, Steve Harvey Show, Ask Dr. Nandi Show, TBN and others. CAROLYN is results driven and is known by her peers as the TURN AROUND GURU and the SOLUTIONIST. As a laser FOCUS Strategist, she takes complex problems and makes them simple. Whether she's speaking at Colleges, Corporations, Government Organizations, and Conferences or at workshops, lives never remain the same after an encounter with her. A trained Army Soldier, Carolyn knows the discipline and FOCUS needed to hit the TARGET and she always win.